I have never been an outstanding student. I struggled to pass during college. During high school, I would only revise material during examination period. I wish to highlight the importance of developing a personal relationship with Khalifatul Masih, because I sincerely believe that my spiritual and worldly success is enigmatically bound to Khilafat. Around nine or ten years ago, in a small-group biology tutoring, my tutor asked us to name the different types of blood cells. One student answered “red blood cells” while another, equally confident, replied “white blood cells”. Then there was me, with no idea, in a state of uncertainty and hoping that “blue blood cells” existed. I narrate this tale to convey my level of biological understanding and knowledge of the time. Perhaps it was acceptable, as I had moved to England two years prior. Understandably, I focused on improving English as my “new” language during the high school years and was not interested in other subjects except the theory of evolution (more on this later). I had asked my English friends to correct me if I mispronounced or spoke improper English. This helped brilliantly; in fact, I remember that my English teacher thought I had plagiarised an essay on a novel of Shakespeare. I received an A in GCSE English Language. I often joke that I learned more English in French classes than the subject itself! More importantly, I would always write to Huzooraa in English (on a weekly basis) and Huzooraa had noticed the improvements I was making. Once Huzooraa even said to my father that when he read my letters, he was impressed by my improvement in English in such a short period of time. Thus, I had established Huzoor’saa special attention, through writing letters in English. I believe and have always believed in the existence of a single God, but the Darwinian principles were a great test of my faith. In 2009, the world celebrated the 150th anniversary of arguably the greatest piece of scientific publication: On the Origin of Species. I picked a magazine that attracted my attention; the front cover had Sir David Attenborough in the centre, a chimpanzee on the left and Charles Darwin on the right. I sent the article to Huzooraa asking about our take on evolution. The reply I received was unexpected as the common mindset is that either you believe in God or the theory of evolution. Huzooraa wrote “From Islam’s point of view, evolution does exist, but not originating from monkeys as is the common belief. Scientists and people of the same category have spent many decades just debating this issue. The only point that unifies them is that there are different species and they have come into being through evolution”. In another letter, Huzooraa recommended to read Revelation, Rationality, Knowledge and Truth by Hazrat Mirza Tahir Ahmadrh. Over the years, I exchanged several letters with Huzooraa regarding the theory of evolution. However, I had never considered studying the subject as the first degree. After finishing GCSE, we had to choose subjects for A-level; I went with Biology, Chemistry, Mathematics and Art. Although, the first three were not the subjects I wanted, rather I had to choose them because I was too shy to go with history, geography and English simply because of the “speaking up” in those classes. I wanted to work towards making the world a better place and so, I tried for medicine. Never did I realise how difficult and competitive it would be. I had nothing to make me stand out. I focused on studying biology as a subject, after all I was interested in evolution and I thought a BSc would provide me with the platform to see the bigger picture in understanding how life evolved. On the other hand, I had learned from my friends that getting into medicine in Eastern Europe was very possible. Presenting two options, medicine in Romania or BSc in England, I wrote to Huzooraa. “Pursue a BSc.” Thus, with just a brief reply from Huzooraa, my mind and heart had completely forgotten about medicine and so I enrolled for BSc in Biological Sciences at the University of Essex. Even at present, I am so glad that I picked the aforementioned magazine but even more so to have sent the article to Huzooraa. I realised that the teachings of Islam were at the centre of scientific discoveries and not contradictory, yet unfortunately there remains an unnecessary gulf between religion and science. I have never been good at examinations; I just could never find the focus to study for exams coupled with my poor memory. 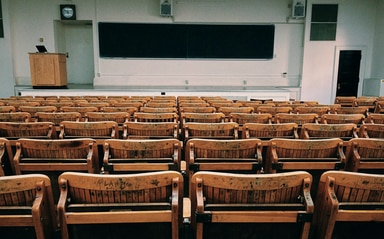 The first academic year did not count towards the final degree mark, and for some exams I had relied on knowledge from my independent study in prior years. I passed the year with a 2.1, one grade below the top. The second academic year was a challenge; now I had to be more serious about examinations. I achieved good marks on assignments because these are judged on your understanding of science rather than your ability to para-phrase! The “month-of-exams” had arrived. I simply could not study. Asking for prayers that God Himself prepared me for these exams, I wrote to Huzooraa. I wrote every day throughout the exam period. My preparation for these exams was so weak that I knew less than 5% of the course material. Yet I achieved a First and ranked third for my cohort that academic year. Clearly, God had listened to His representative. What would I write to Huzooraa? For the seven exams in the second academic year and three in the third (final) academic year, what I studied was exactly what was in the exam. Not just the big essay questions but even questions worth a mark or two asking to define a particular term – God had prepared me well, possible only through blessings of Khilafat. Towards the end of second academic year, we had to choose subjects for the final year. Providing the list, I wrote to Huzoor. Deep inside, I knew that by just writing to Huzoor gains Allah’s special attention. Thus, I chose the subjects with the mind-set that it would be for the best. Second academic year is also the time when students have to consider what they plan to do upon graduation. I met Huzoor during the summer of 2014, asking for guidance as to which subject I should pursue post-graduation. I had a list of courses in areas of Human Genetics and Diseases. Huzoor said that these were all good subjects and that I should go with the one I got admission in. Having said this, Huzoor, rather rhetorically asked, “You don’t like plant science?” I did not have an answer as I felt it was a statement. My final year project was initially in areas of cell biology. I was yet to be given a specific project but it was going to be related to human diseases, cancer perhaps. For a reason that I still do not fully know, I decided to change from a cell biology-based project to a molecular biology one. Doing so, I risked losing my space in cell biology, and there was only hope in someone doing the same but with molecular biology, so I would have their space. No one was to opt out. I had to go with the project area that was not-so-popular among students: bioinformatics, which is using computers to make ‘sense’ of biological data. Once again, I am glad I was part of this project, though at the time, I was not so optimistic. My academic tutor reassured me that I would learn some unique analytical skills that were transferable. She was right. The project, though a computational one, was in areas of plant science as my task was to find genes that are central to drought response using online data repositories. Thus, with the given project, my research interests became entirely focused in areas of plant sciences. If Huzoor was to ask me the question again, you don’t like plant science, my instant response would be “I love plant science.” Such is the blessing of Khilafat, never ever had I thought I would become solemnly keen in plants as a research field. So the following two components for the final year were established: I would be doing my project (the most significant academic aspect of university) in areas of plant science and secondly, it seemed I was limited to particular research areas in future as my research interests were becoming narrower. However, I attempted to apply for a PhD in other areas, anything but plant science, for no particular reason. I very much enjoyed plant science during the second and final academic years but did not consider taking the subject as a career. In another meeting, Huzoor asked, “Will you go into research after bachelors?” I replied in the affirmative. I very well knew, then, what I wanted to do upon completing the first degree: post-graduation, as asked by Huzoor. It should be remembered that the question Huzoor asked, you don’t like plant science, had still not yet occurred to me. My attempts to pursue a PhD in late 2014 and early 2015 were unsuccessful. Having a discussion with another student who had found a PhD project which was very much similar to their final year project intrigued me to explore PhD projects in plant sciences or bioinformatics. Thus, I would now only focus on PhD projects in areas of plant sciences but there was a little hurdle. I had left it too late. Most of the deadlines had passed. However, I did receive two interviews (though both unsuccessful) that year: Royal Holloway, University of London (RHUL) and University of Cambridge. My first ever interview in life was at Cambridge! Simply put, I was pleased to know I received an interview from such a place but had no expectation of being successful. I only applied to those places as an experience. (An interview tip here is to know the PhD project applied for in good detail, know the scientific literature and appreciate what is lacking in the field.) The supervisor in RHUL was very keen for me to join his lab, so he suggested taking the master’s route. There are only a handful of places in London with a master’s course in plant science: Imperial College London and RHUL. I also had the choice to do master’s at my first university. I met Huzoor for advice and prayers. Updating Huzoor with my academic situation, I enquired as to which university I should choose. Huzoor said that I should go with where my heart is. I mentioned that I was fond of RHUL and that there was a good chance that I would get a PhD project afterwards. And so, it was settled by Huzoor that I should do masters at RHUL. Fast-forward to today and I am a second-year PhD student of Plant Science at Royal Holloway, University of London, and a recipient of full scholarship. Alhamdolillah. To summarise, I never had the intention to apply for college when I finished high school and in the same state I was when I finished college with no intention of applying for further education. It was purely Huzoor’s special attention, which I received and developed over the course of a decade through writing letters. Of course, now I know “blue blood cells” do not exist. 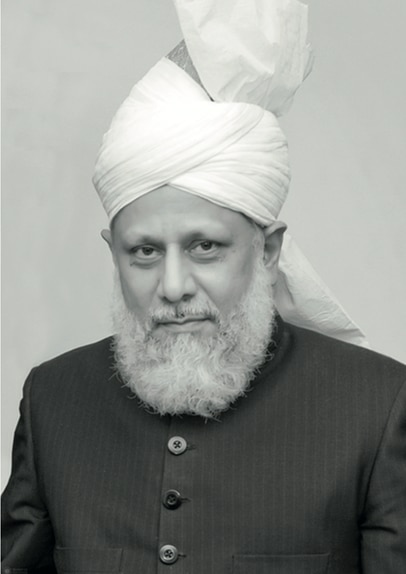 And what I also know with full conviction is that you will become recipients of God’s special help only if you develop a relationship with Khilafat-e-Ahmadiyya and the representative of God. If you have read the entire piece of writing so far, then take this one point with you: write to Huzoor before making any decision, even if you think it is of little importance.